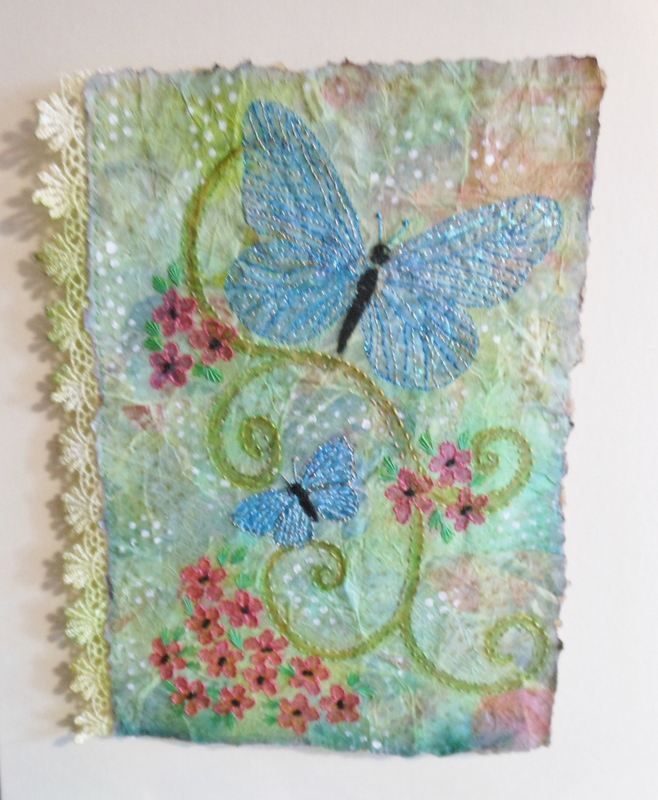 A workshop for all abilities in hand embroidery. 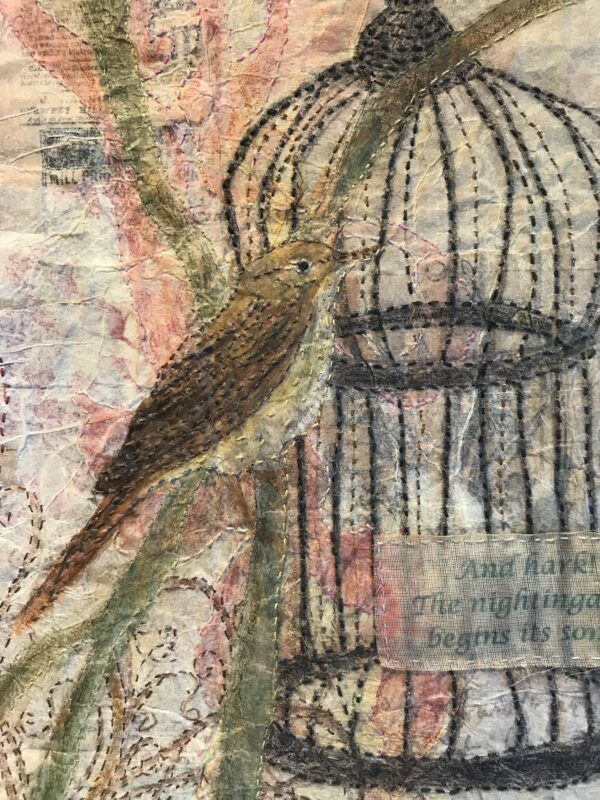 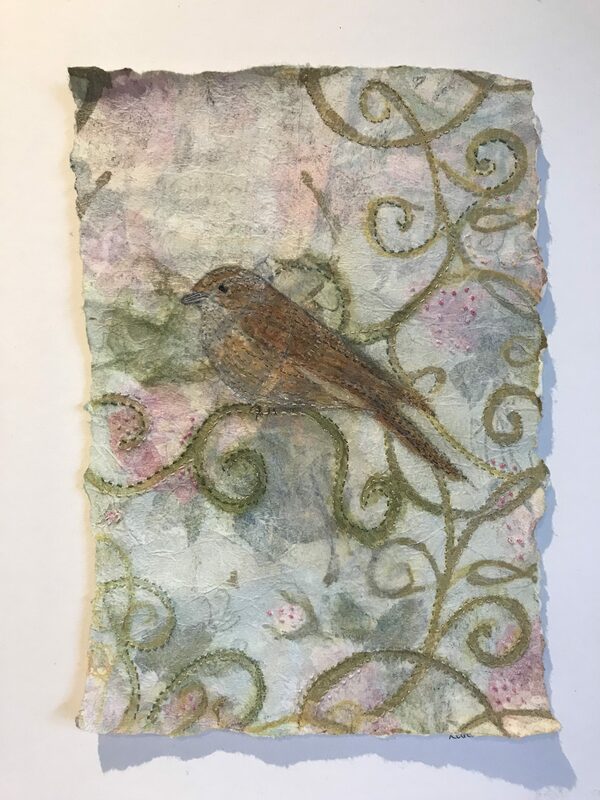 Tutored by the talented textile artist Karen Ives, she will show you how to combine hand stitch with printed papers with beautiful results. 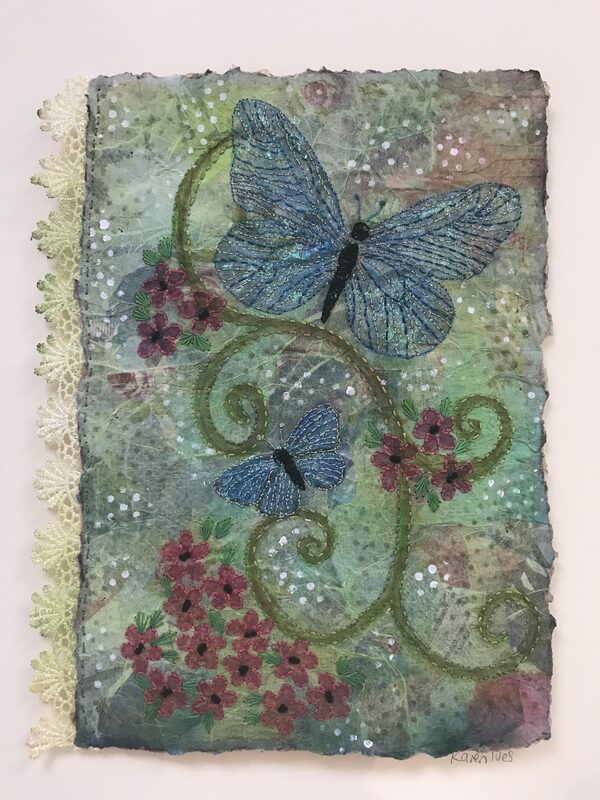 During this workshop you will create a unique layered background using printed papers, book print and tissue. 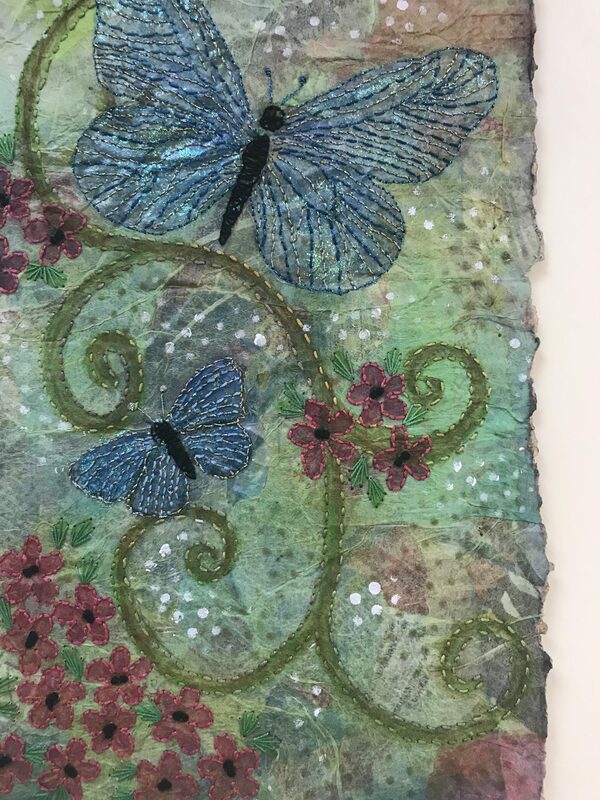 You will be able to add your own choice of design to this surface using a range of art materials and design techniques. 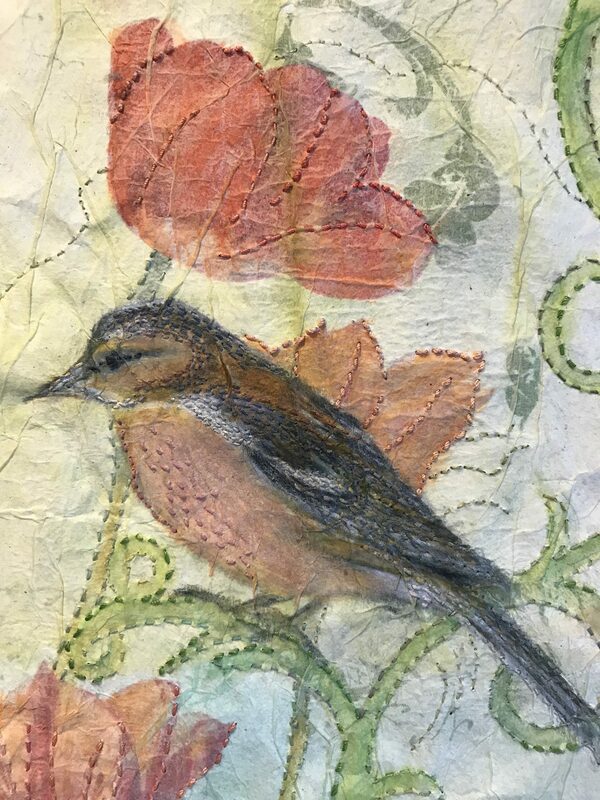 The final design will be embellished with hand embroidery using three simple stitches.